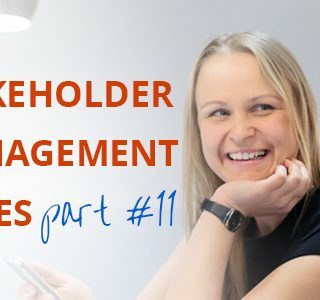 To celebrate the launch of our new eCourse, we’re releasing a brilliant new podcast or article each week which focuses on stakeholder management. Tune in each week for the next FREE instalment (view all previous Podcasts in the series here). If you are already subscribed to our mailing list, we’ll email you a simple recap of posts each Thursday so that you can listen at your own pace. Join our mailing list on this page for updates. Feel free to join the conversation by leaving your comments below, or connect with the FMPC tribe on social media. Being a junior project manager can be overwhelming. When I first started out managing projects I would second-guess myself all the time. What am I going to do about unhappy person XYZ? Phil is not doing what he is supposed to be doing! Some days I would go home completely stressed and wonder if I was in the right career. Then other days nothing would go wrong and it would be fabulous. From a stakeholder management perspective, I was flying blind. I only had my limited previous experiences to guide me the through the process. If you’re anything like I was, you’re looking for help on your project management journey. I’m here to tell you, all you have to do is ask! Is there anyone else I should be speaking to about this project? This is a useful question to find out your key project stakeholders from the points of view of different people. It shows the people you’re asking that you’re interested in their opinion and is a discreet way to get the ‘secret sauce’ on the organisation you’re working with. The knowledge and opinions of the people you work alongside will become an important resource. It will enable you to build a “map” of the stakeholders within the organisation, as well as your stakeholder register, which is crucial for you as a project manager. After a few of these conversations you will have a thorough view of who is impacted by the project. 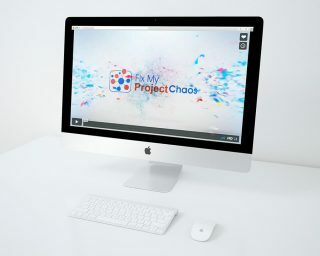 What are the challenges for this project from a people perspective? Senior managers will have a different view on this than those at lower levels of the organisation. If you are only relying on one group of people for your knowledge, you are not going to get the complete picture. Asking this question helps you to understand what the challenges are and figure out how you’re going to best deal with them. Who are the main “resistors” for this project? When faced with the likelihood of resistance to the project, it’s the perspective you get from other people that will be most important. Resistance can come from anywhere but you’ll be better able to handle it if you’re prepared – rather than if it comes at you out of the blue. It’s important to keep your eye on people likely to sabotage the project. Asking the question and continuing to ask the question throughout the project will help you ensure that you understand and mitigate the risk associated with “resistors”. What can I do to improve my communication approach with you? Asking a person how they prefer to be engaged with is a great way to build rapport and optimise communication. Often we can spend time doing things that don’t add any value, when we can be really effective if we simply target our efforts to the stakeholder’s preference. Asking for input makes good practical sense and helps you to be in control of the situation. A one-size-fits-all approach to communication doesn’t work and will not deliver the required outcomes for the project. Is there an organisational change manager to mentor me on the organisational change activities of the project? Asking for help is not a sign of weakness, rather it shows an appetite for learning new things and being the best project manager you can be. Mentoring is a fantastic way to learn from others’ experiences and improve your skills and knowledge. An organisational change manager can help you understand the “people” side of projects. They can provide valuable knowledge and insight into effective change management techniques and practical “how to” tips. 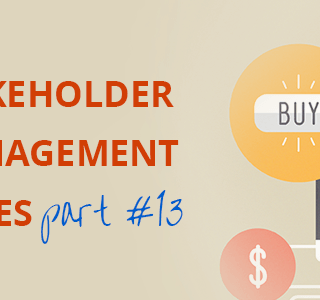 Which project delivered recently had the most effective stakeholder management? Starting with a blank piece of paper is daunting, which is why reviewing previous work that has delivered successful outcomes is a great place to start. This way you’ll have a model that you know works and can be used as the basis of your project. You’ll also have valuable knowledge about how to engage your stakeholders. This dramatically boosts your likelihood of success.